The term “glamping” is already widely used in the media. This is about holidays with something more luxury, for the more demanding. Those who do not want to simply stay in tents but want to spend the night in nature will find the right place. An ideal accommodation for canoeists and cyclists. 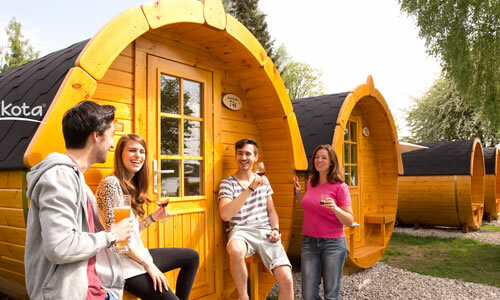 Experience the unique combination of camping feeling and comfort in an overnight stay in a camping barrel. Whether winter or summer, rain or sunshine, here is guaranteed for comfort and restful sleep. 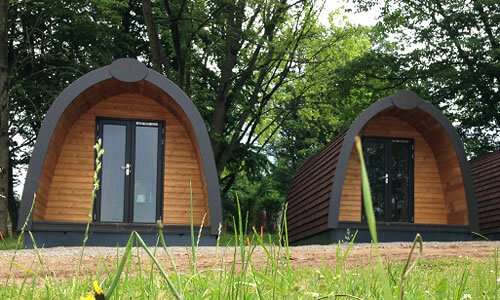 With the camping lodge has finally arrived in the 21st century. This exciting innovation is growing in popularity. Enjoy the outdoors indoors. Whether for hikers, bikers or the family – a completely different accommodation experience! Please do not bring pets! This is the only way to meet guests who are unable to move into the caravan after an animal because of allergies.